Newly-registered Abundant Nigeria Renewal Party (ANRP), Ogun State chapter, has inaugurated the executive members of the party in the state. The party, therefore, declared that moneybags and political godfathers would not be welcomed within its fold. The elected state chairman of the party, Olusoji Daniel, made this known shortly after his emergence at the State Congress of the party, held at the Igbore Town Hall, Abeokuta. The Congress was conducted under the supervision of the party’s Deputy National Secretary who doubles as the Chief Electoral Officer, Mrs. Abigael Olagbaye. According to him, the party was formed on the ideologies of the late Premier of the defunct Western, Obafemi Awolowo, with a view to bringing about all round development in every sphere with the contributions of all citizens. Daniel, elected alongside other executive members, however, said the party had no single godfather or moneybag politicians financing its affairs, emphasising ANRP was formed for the masses with the intention of bringing government closer to the people. “ANRP is a movement of the masses. A movement that does not have godfathers. It is a movement of the likeness. This is a generational movement that will shape the face of things in the country. This is a movement where those who believed that their voices are not heard, will be heard,” he added. Daniel noted that the party adopted the bottom to top approach to liberate the nation’s political system with the aim of renewing the beliefs of Nigerians in good governance. “There is no good governance in the country. Nigerians are groaning. The government of the day is not helping matters, instead it engaged in blaming game. 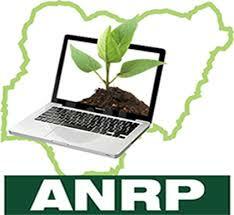 ANRP is ready to change Nigeria. We are not after money making here and that is why we are not opening our doors from moneybags politicians. “We generate money through voluntary contributions from our members like we have in the defunct Action Group (AG) formed by the late Awolowo,” ANRP state chairman submitted.